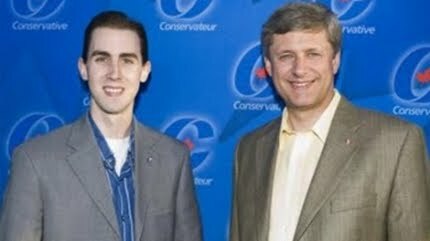 Well the latest break in the Robocall scandal is Stephen Harper’s bold claim that they had discovered that the Liberals were behind it. Which didn’t only not makes sense, turned out to be completely false. It was the NDP that pointed out their error. The company, Prime Contact in Canada is not affiliated with the American company of the same name. Del Mastro made the same point Harper did in the house of commons but later revealed in a televised interview on CBC that he was not aware there was a Canadian company, PrimeContact Group, by the same name as a U.S. company based in North Dakota. To claim that the Liberals would harass and discourage their own voters from showing up on election day fails the test of believability. It doesn’t make sense. Why would they do that? To make it look like the other side was pulling dirty tricks after an election? No way. Those guys are all desperate for votes. As pointed out by one analyst, they will do everything in their power to not only win an election but to crush their opponents and win by an even larger margin. To say that they were willing to not only lose votes but lose an election in the hopes that nine months after the election the other party would look bad is absurd. Although the political analysts are proceeding on innocent until proven guilty, all the political analysts discussing the matter in the news agree that this is a serious scandal and if true this conspiracy would rock the foundations of democracy and clearly be a criminal act. Trying to prevent someone from voting is as outrageous as stealing a ballot box. Most analysts also agree that since it did involve more than one riding it is highly unlikely one 20 year old kid could be responsible for the entire operation. Who seemingly denied he was to blame but claimed he knew who was. The thing that bugs me is the rating of how the politicians are fairing in the scandal as opposed to finding out the truth behind the scandal. Saying Harper should respond by counter attacking the Liberals record and denying his involvement is outrageous. Criticizing the opposition because there complaint appears to lack continuity is ridiculous. This is a huge concern. Every day the scandal expands and gets more complex. Most of the calls from the initial complaint falsely claimed to be from Elections Canada fraudulently telling voters of a certain political persuasion their place of voting was changed to discourage them from showing up on election day. Yet there are other bizarre claims in other ridings now as well like Jewish voters in Joe Volope’s riding being harassed on the Sabbath and other voters being harassed several times a day and at night claiming to be from the Liberal party. All the parties were using robocalls this election and it is possible there were glitches in the system. Yet fraud directed at certain voters in more than one riding is a lot more than a glitch. It is as the analysts’ claim, a criminal act that needs to be properly addressed. Since reports of that investigation came to light last week, Liberals and New Democrats have reported fraudulent calls in dozens of ridings across the country and the Conservatives have called on anyone with information to send it to Elections Canada. Vancouver demonstrators hit the streets. Elizabeth May and Lybie Davies are both reporting false Elections Canada calls made in their ridings.